Kurukshetra: At least 24 patients, including some women, suffered severe eye infection allegedly due to botched cataract surgeries at the Lok Nayak Jai Prakash Narayan Civil Hospital here. 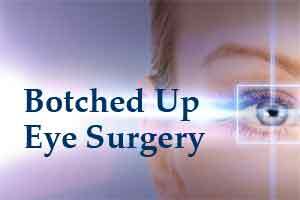 The Kurukshetra district health authorities have suspended eye surgeries at the hospital till Friday. The patients who were operated upon at the hospital over the past three weeks have been referred to the Post Graduate Institute of Medical Education & Research(PGIMER) in Chandigarh. The PGIMER confirmed that its Advanced Eye Centre (AEC) received 24 patients of post cataract surgery endophthalmitis, an inflammation of the interior of the eye, in the last couple of weeks. “At AEC, PGIMER, till now 19 patients have been operated… All the patients are doing well on topical and systemic antibiotics. Their vision is gradually improving. None of the patients has complete loss of vision. Eleven patients have been discharged and advised regular follow up,” it said in a statement. “Thirteen patients are still admitted in AEC and monitored on a daily basis,” it added. On Wednesday, a team of doctors led by Director Health Services, Haryana, Dr Arshudeen visited the hospital to investigate the cases. Civil Surgeon Dr Sukhbir Singh said an investigation was on to ascertain the cause of the infection and fix responsibility. A senior eye surgeon had performed around 100 cataract surgeries between February 27 and March 11, he said. Singh said as many as 24 patients reported back with complaints of irritation. Samples of tools, chemicals, medicines, roof and floor of the operation theatre have been taken to ascertain the cause of the infection, he said. Medical Superintendent of the hospital, Dr Manjit Singh said a team comprising of doctors Ranju Soni and Mezpal have been sent to the PGIMER on Wednesday to assess the situation and further recommend to the state government to either pay the medical bills of such patients directly to the institute or reimburse them. “We will examine all patients who underwent surgeries at the LNJPNCH over the past one month to ensure that no case of infection goes untreated,” he said. Dr Anita Goyal, who performed some of the surgeries at the hospital, said the infection might have been caused due to tools or fluids used in the surgeries. It was possible that bacterial infection might have been present in a patient and was transmitted to others, she said. “The operation theatre was maintained as per the surgery protocol to contain any chance of infection. It is a matter of investigation to pinpoint the cause of the infection,” she added. unwarranted comment. The above operations are done by senior surgeons. no senior surgeon will like to spoil his reputation. no one will do willfully. please retract your statement and do not blame doctors for the mishap . in an institution where so many cataract surgeries are done surgeon cannot look at the sterilization of operating theater, instruments etc. BOTCHED UP SURGERIES ARE VERY COMON IN MOST OF THE TEACHING MEDICAL COLLEGE HOSPITALS , GOOD NUMBER OF DOCTORS TAKE UP JOB IN MOST THE MEDICAL COLLEGES , TRY TO PICKUP THEIR SKILLS ON THE POOR UNDERPRIVILAGED ,INNOCENT,HELPLESS PATIENTS , THE DAY THEY THINK THEY HAVE DONE ENOUGH OF IT , STEALTHY RUN AWAY / QUITE THE PLACE. OTHERS SET UP THEIR OWN PRIVATE HOSPITALS NEAR BY. BY TIME THEY KNOW HOW TO TAKE ADVANTAGE OF EACH AND EVERY THING , STARTING FROM STEELING / LIFTING THE PATIENTS TO THEIR PRIVATE HOSPITALS, LABORATORIES SCANNING CENTRES. I THINK IT IS BIGGEST RACKET WORTH MILLIONS OF RUPEES, AND CAUSING MAXIMUM DAMAGE TO THE HELPLESS PATIENTS.